On the occasion of Earth Day, tricitians for the first time will run for their Earth and Environment. 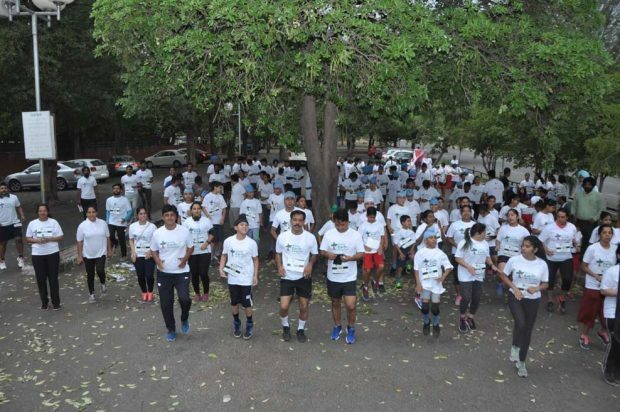 In this unique endeavour to create awareness about global warming, Treezing an organization focused towards environment awareness and tree plantation is all set to organize its first ever Earth Day Marathon from Chandigarh Sukhna Lake. More than 300 participants are expected at the event and for every participant; Treezing will plant a sapling. Through this initiative, people will be educated about Global warming, which has increased average temperature by One Degree and which may increase up to four degrees in coming years, if we do not act today to stop this. Indiscriminate usage of plastic, wastage of water & electricity, cutting of trees etc. are further adding to the burden of climate change. Speaking at the occasion, Mr. Kanwar Dhindsa – Founder of Treezing says “We are pleased to announce that Treezing Eco Solutions is organizing the First Earth Day Awareness Run in India. Treezing is committed towards the cause of tree plantation across India and will be planting a tree on behalf of every participant. We are being supported in this cause by Artemis Hospitals, Jugnoo and Doon International School etc. Given the pollution levels and extent of deforestation in the country, Treezing will be initiating many such events in the future too!” “Our earth has given us life; it is high time when we give a bit back to her. This marathon has given us an opportunity, to show our solidarity for the cause of global warming, says a tricity Marathoner Rihaan from Panchkula. Dr. Devlina Chaktravarty, CEO & Executive Director, Artemis Hospital says, “As Global most polluted cities are in India, we are supporting this cause for the sake of Nations’ Health because, if your environment remains Healthy, only then you could lead a Happy and Healthy life ahead.